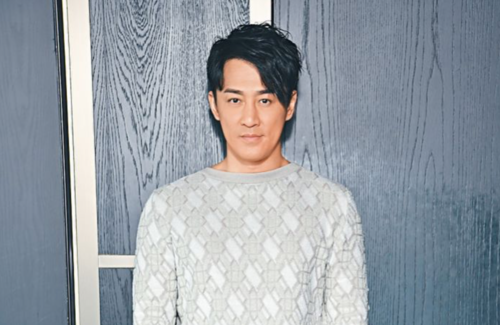 Since artiste Raymond Lam (林峯) signed with Sky High Entertainment, Louis Koo’s (古天樂) management agency last year, he was given the opportunity to take on various roles. Take, for example, the 39-year-old’s character in P Storm <P風暴>, the latest installment of the Hong Kong crime thriller franchise, in which he plays a second-generation millionaire psychopath in jail. The setting of the film is in prison, and has a similar vibe to Prison on Fire <監獄風雲>, according to Raymond. “Louis and I have a lot of action scenes. I thought there must be a lot of underlings around me when I want to fight since I’m a rich second generation. But actually, there are many action scenes in the movie that I need to do myself, and most of them are with bare hands! It’s very difficult,” Raymond shared. Challenges aside, the actor said he’s had a fruitful 2018 in his acting career. “Because I tried so much in 2018, I was feeling a bit lost at the start of 2019. If you ask me what other characters I want to try playing, I can’t think of any because I really got to satisfy my acting addiction last year,” he expressed. In addition to P Storm, Raymond also has film Back to the Past <尋秦記> awaiting to greet customers. Cooperating with Louis again after 18 years, Raymond said Louis is still handsome, mature and dependent, and charismatic. He added that he’s also changed a lot himself. Raymond’s work schedule has already been planned out for until the end of the year. He has some films and TV series lined up, as well as the Mainland concert tour. However, he hopes he can also open a show in Hong Kong as well. “Since I can still move and jump, I want to open another concert. Concerts require more physical strength than filming. It really takes time to train my physical fitness,” Raymond said.